The enduring influence of William Shakespeare will be celebrated through a series of musical performances, films and talks at Plymouth University. Marking the 400th anniversary of the Bard’s death, the 2016 Words and Music Festival – sponsored by the Suzanne Sparrow Plymouth Language School – will carry the theme of Celebrating Shakespeare. 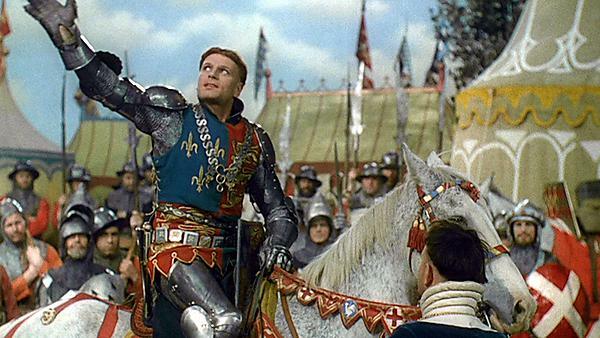 It will include a theatrical adaptation of Richard III, alongside screenings of Sir Laurence Olivier’s Henry V, the multi-Oscar winning West Side Story (which was based on Romeo and Juliet), and Grigori Kozintsev’s King Lear, which includes a soundtrack by Dmitri Shostakovich. There will also be a gala concert at the Minster Church of St Andrew on the actual anniversary (Saturday 23 April) as well as recitals of music from composers as diverse as Thomas Arne, William Walton, Duke Ellington, and three new works by Clive Jenkins, commissioned by the Plymouth Shakespeare Society. William Shakespeare is widely regarded as the greatest writer in the English language, with his published works consisting of around 38 plays, 154 sonnets, two narrative poems and other verses. He died in Stratford-upon-Avon on the April 23,1616. The first event of the festival celebrating his life will be a performance of Richard III by the Brite Theatre Company in The House on April 20, ahead of the official launch featuring founder Suzanne Sparrow on Wednesday. There will also be showcases of Plymouth University’s research in talks by Peter Hinds – exploring how music, sound and spectacle interacted with poetry in Shakespeare’s theatre – and Dr Katherine Williams, who will use Duke Ellington’s music to explore balances of authorial power. And the gala concert at Minster Church of St Andrew will see the Ten Tors Orchestra and Bath Spa University Chamber Choir performing numerous works based on Shakespeare’s work, featuring a revival performance of the 1776 Shakespeare Ode by Thomas Linley.